Lemony Chicken Stir-Fry | Time to Cook! I’m always looking for new chicken recipes, so was excited when I found this one. 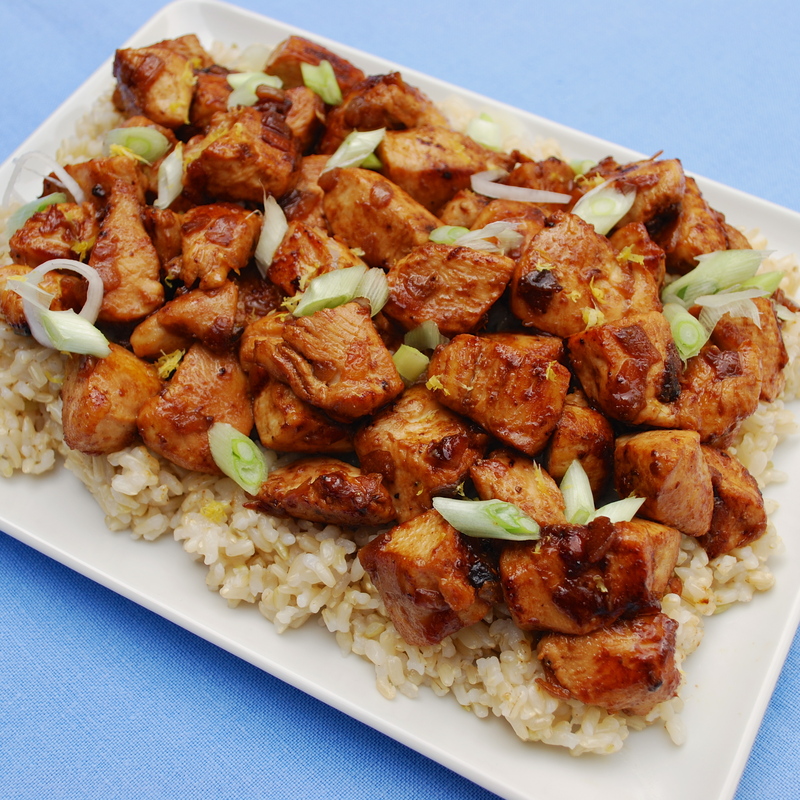 It’s super easy and tastes like “fresh”, flavorful Chinese food. I’ve tried this with breasts (white meat) and thighs (dark meat) and liked both. We serve with brown rice. This was a hit with the entire family … I’ll be making this again and again. Recipe from Food and Wine (contributed by Todd Porter and Diane Cu). In a large skillet, heat the olive oil. Add the onion and cook over moderate heat, stirring, until softened, 4 minutes. Add the garlic and cook for 1 minute. Add the chicken and cook over moderately high heat, stirring occasionally, until browned all over, 3 minutes. Stir in the soy sauce and sesame oil, season with salt and pepper and stir-fry until the chicken is cooked through, 3 minutes longer. Remove from the heat and stir in the lemon zest and lemon juice. Season with salt, pepper and soy sauce. Transfer the chicken to a platter, top with the sliced scallion and serve with rice.